In the early 1980s, Coke was losing ground to Pepsi. The infamous “Pepsi Challenge” campaign was largely responsible for Pepsi’s surge. In response to the pressure, Coca-Cola tried to create a product that would taste more like Pepsi. So on April 23, 1985, the Coca-Cola Company announced a change to its nearly century-old secret formula. 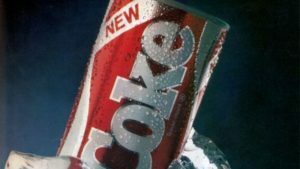 The “New Coke” would have a smoother, sweeter taste — similar to Diet Coke, but sweetened with corn syrup. Market researchers and pollsters were sure it’d be a hit. While New Coke fared well enough in nationwide taste tests before launching in 1985, the results turned out to be misleading. Quickly, the new soft drink fizzled out. Loyal Coke drinkers weren’t upset — they were angry. So passionate were Coke drinkers that they launched grassroots campaigns across the country to force Coca-Cola to bring back the original Coke. Coke abandoned the product after a few weeks and went back to its old formula. It also gave its product a new name: Coca-Cola Classic. In the letter to the Hebrews, the author was addressing those who wanted to go back to living according to the Old Covenant. We’ll call it, Hebrew Classic. The Hebrews were feeling pressured and persecuted because of their faith in Jesus. 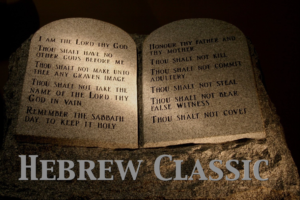 There were tempted to return back to what was familiar and comfortable in following the Mosaic Law －the Old Covenant. In Hebrews 8:1-13, the author to the Hebrews points out what’s New in the New Covenant and reveals that it’s not just an improvement －it’s a total replacement that’s completely better.